But then again, how do you know who is in the lead? After a three-year hiatus from the marathon, my race season got off to a great start in 2012. 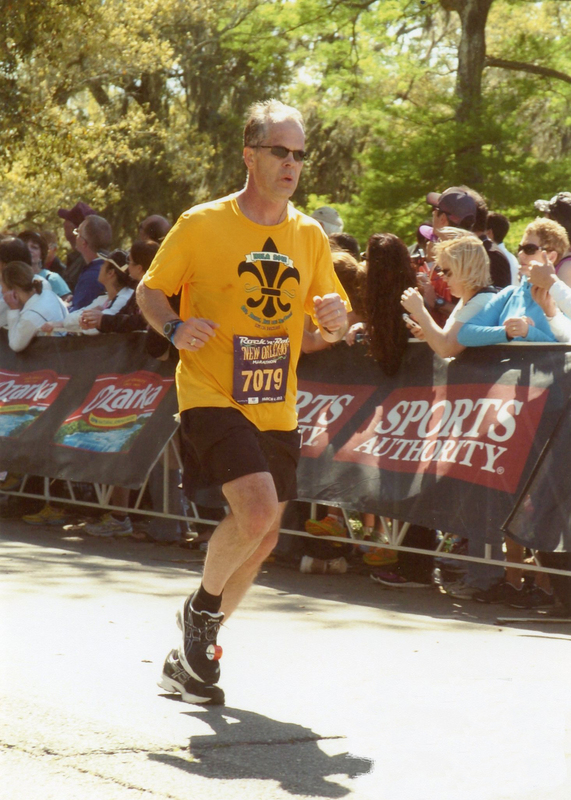 My winter training sessions were productive, and in March, I set a new PR at the New Orleans marathon. With those results in the bank, I was feeling good about the chance to PR again in a fall marathon. But the progress just didn’t seem to be there throughout the summer. The numbers in my training log haven’t led me to be optimistic. I log all of my training runs. I record the distances, the pace, the temperature, my weight and more. I can analyze the results by my daily pace, my pace for distances over 6 miles and under 6 miles and my average pace for the month; I know what my training volume is by week and by month. Yeah, I’m a bit OCD, but it gives me something to do. When I reviewed my summer training, I didn’t see the same sort of progress that I did over the winter. I thought this summer’s excessive heat might be to blame for the lack of progress. It’s hard to improve your pace when high temperatures add so much strain to even an easy run. I don’t think I did myself any favors when in mid-September I turned what was supposed to be a 22-mile long run into a 26-mile effort in my hometown’s inaugural trail marathon. I didn’t record a very good time, but even that sucked my energy and made recovery more difficult than it should have been. And last but probably not least, I have to wonder if I haven’t crossed that line where even the best of efforts won’t lead to new PRs. No one outruns Father Time. As we age, we lose muscle mass, strength and function. The medical term for this is sarcopenia. According to Dr. William Roberts in a “Runner’s World” column, sarcopenia starts at age 40 and accelerates after age 75. The effects are greater for the inactive, but it also impacts the active, too. Runners slow about 7 percent per decade in their 40s, 50s and 60s — and even more quickly after that, according to an article in “Running Times,” which was reporting on a study from World Masters Athletics. I ran my first marathon at age 40, so with a fairly late start in life I was bound to see improvements at first. But at some point, the improvements have to fade. The first question is: Have I reached that point? And, if so, the next question is: If PRs are a thing of the past, where will I find my motivation? For the past decade, my motivation has been partly fueled by the drive to improve my times. I’ll never win a race, but the beauty of running is you can compete with yourself. And if that is no longer possible, I’ll have to find other motivation. I guess I’ll be closer to answering the first question when I run the Des Moines Marathon on Oct. 21. And I think I’ll let the second question roll around in the back of my mind a bit longer — and make sure I’ve definitively answered the other question first.